PICKERINGTON, OH – The American Motorcyclist Association has locked in July 5-7, 2019 as the dates for next year’s AMA Vintage Motorcycle Days at the Mid-Ohio Sports Car Course in Lexington, OH. Honda will be the featured marque as well as sponsor of the event, which includes vintage racing in several categories, a show and swap meet, and talks by motorcycle experts. 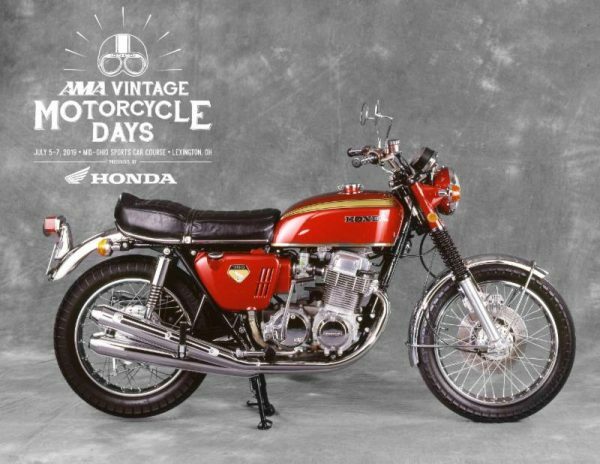 Next year marks the 50th anniversary of the introduction of Honda’s legendary CB750 model and the 60th anniversary of the founding of Honda’s North American subsidiary. The event will also include vendors selling gear and services for riders and for old and new motorcycles. Manufacturers will also be at AMA Vintage Motorcycle Days with demo models to try out. 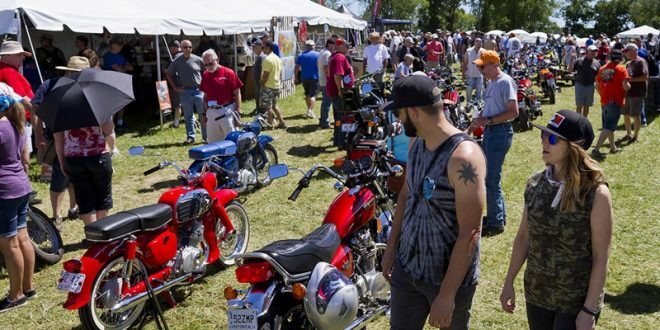 “AMA Vintage Motorcycle Days at Mid-Ohio is a great family fun event, and with it being held over the Fourth of July weekend in 2019, that only makes this summer tradition more special,” said Craig Rust, president of Mid-Ohio Sports Car Course. There will also be a drawing for a vintage raffle bike that raises additional funds for the AMA Motorcycle Hall of Fame. In 2019, the winning ticket will be drawn for a 1951 Harley-Davidson Panhead.